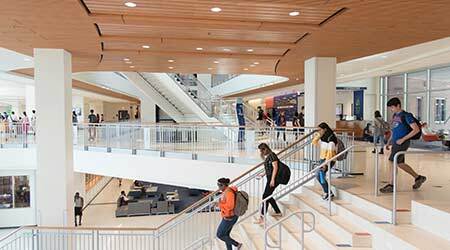 The successful expansion and renovations of the University of Florida’s student union gave Mironack insights into several key elements of project management. One insight involved understanding the importance of his role in the overall effort. “I served as the owner’s representative during the project,” he says. “I was involved in the ESCO contract review, project planning, and project oversight. As the owner, I learned very quickly to speak up and be demanding. Yes, there were a lot of disruptions to operation, so my job was to minimize those impacts while at the same time enabling the contractors to get in there and do the work that they needed. “It was important to strike that balance — being firm with the contractor to say, ‘Yes you can, or no you can’t do this at this time’ — while also communicating to clients.” Effective communication also proved to essential in the project’s success. “We had weekly coordination meetings between projects,” Mironack says. “Everyone was at the same table, even though we had different contractors and contracts, they understood they were interdependent. As for his goal of minimizing disruptions to the building’s operations and activities, Mironack credits effective communication with success in that area, too.